All of us at Flower understand the vital function that positive experiences and meaningful learning has for all young children and the way this significantly impacts on their future development and academic life. We appreciate that children's learning is holistic in nature incorporating their cognitive, emotional, social and physical development and by way of communication, thinking and problem-solving. 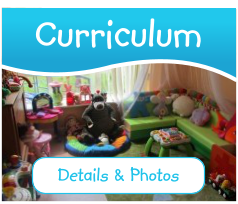 In this light we offer an indoor/outdoor programme with routines that are supported by The Early Childhood Curriculum Framework - Aistear and Siolta backed up with excellent teacher/child ratios. 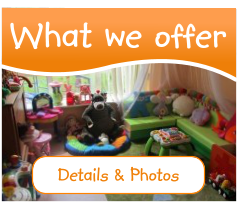 We view each child as an individual with a unique personality, interests and abilities and this is reflected in the broad range of fun and exciting activities that we make available to the children through-out the day. Our teachers support each child as they become a confident and active learner that is ready for school, developing their skills to learn, fostering their love of learning and to encouraging their passion to do so through play, games, individual and small group activities. Communication, language acquisition and development is central to our programme whereby our children are always encouraged to express themselves knowing that they will be listened to and responded to appropriately. At mat/circle time the children are further encouraged to extend their language through songs, stories show and tell. Each child's respective learning journey is professionally assessed and documented in their own personal learning portfolio and you as their parent/caregiver are invited to contribute to it and to keep later when they leave as an academic record and keepsake of their time at Flower. 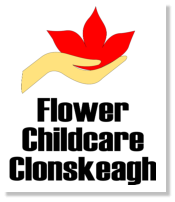 Programme Overview All of us at Flower understand the vital function that positive experiences and meaningful learning has for all young children and the way this significantly impacts on their future development and academic life. We appreciate that children's learning is holistic in nature incorporating their cognitive, emotional, social and physical development and by way of communication, thinking and problem- solving. In this light we offer an indoor/outdoor programme with routines that are supported by The Early Childhood Curriculum Framework - Aistear and Siolta backed up with excellent teacher/child ratios. 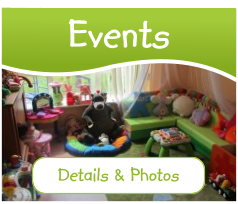 We view each child as an individual with a unique personality, interests and abilities and this is reflected in the broad range of fun and exciting activities that we make available to the children through-out the day. Our teachers support each child as they become a confident and active learner that is ready for school, developing their skills to learn, fostering their love of learning and to encouraging their passion to do so through play, games, individual and small group activities. Communication, language acquisition and development is central to our programme whereby our children are always encouraged to express themselves knowing that they will be listened to and responded to appropriately. At mat/circle time the children are further encouraged to extend their language through songs, stories show and tell. Each child's respective learning journey is professionally assessed and documented in their own personal learning portfolio and you as their parent/caregiver are invited to contribute to it and to keep later when they leave as an academic record and keepsake of their time at Flower.